Ahoy there me hearties! Here’s yer favorite app pirate ready for another round of booty hunting adventure. The crew is all ready to sail, but ‘afore we leave, this old salt won’t forget to give ye another app review. Avast ye me lads and lasses and let’s begin with the review. ‘Tis about an app called Falling Word by Megasoft78. Falling Word is a word puzzle game that you can download and play for free. Like many free apps, it is often expected that it has advertisements. This app also has ads but the good thing is that they are not annoying. They do not take away your focus or enjoyment of the game. Coins are also not difficult to earn as there are daily bonuses and those that you can earn by finding hidden words that are included on the list of words to find. The gameplay is pretty basic. It’s something that all types of players can easily learn. 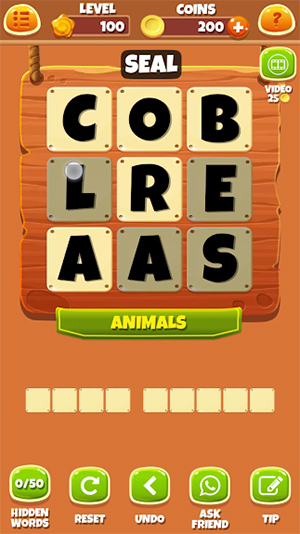 Connect the letters on the game window to find the words that need to be searched. Aside from these words, there are also other words that you can create using the letters that can earn you additional coins. You move to the next level when you find all the hidden words. There are categories on each puzzle so you have a clue on what words to find. This will exercise your brain and will make you think since you are not just searching for random words but words that fall under the category. It will also test your focus as you have to put your attention on it to find the right words. There are hundreds of levels to complete in this app. This will give you long playing time. It’s also a fun way to pass time. According to download page of the game, the developers are also consistently adding new levels so you will not run out of puzzle to play. Falling Word is free to download and play, which is perfect for those who prefer not to spend real money on their apps. While it has advertisements, they are not intrusive so they do not really take away from the gaming experience. It’s easy to learn and it also exercises the brain. The game also comes with hundreds of puzzle levels and more are added by the developers. There is really nothing bad to say about this app as it gives a smooth playing experience. 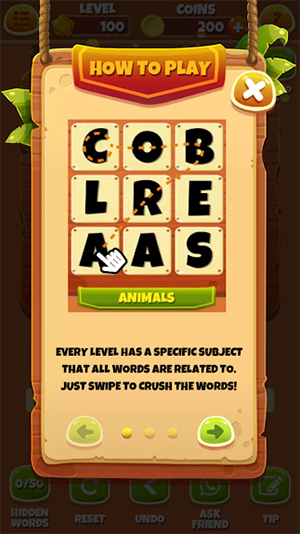 It may not have something fresh to offer, but if you are looking for the usual word puzzle games, then it gives you that. Falling Word is something that you may want to try if you are into word puzzle games. It’s free, easy to learn, and it has hundreds of levels to keep you occupied. The ads are also not irritating so you can focus on solving the puzzles.